We are the advanced equipment manufacturing enterprises, there is great elevator, air compressor and other 6 subsidiaries hintha. Is a city of hundreds of industrial enterprises leading backbone enterprises, district financial revenue over 10000000000 special contribution award for enterprises, District, and district, vigorously tripod award. Xinda is national innovation oriented enterprises, built provincial enterprise technology center and academician workstation, a total commitment to national science and technology projects 13, participate in the formulation of national standards for 21, has authorized patent 256 entries. Overall objective:Cast a century brand, to create a hundred years of business"
With its efforts for years,Xinda has made achievements in entering the international market,which is one of its development targets.China's entry into WTO presents a wider stage for us.For its considerable potential,the key to entering the overseas market is understanding the local market demands and conducting a good subsequent marketing and providing excellent technical support. 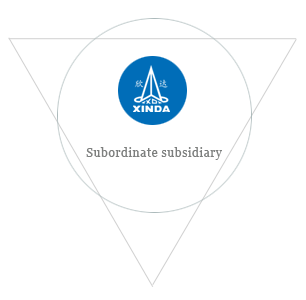 Xinda aims to"Build a Century-old Brand and Create a Century-old Xinda"for its long-term development.We will create our own brand through dedicated efforts,Strict quality control and technical,ideological and management innovationgs. Xinda always attaches improtance to and persist in honest operation.We believe that honesty is not merely shown in the legal operation,but also demonstrated in design,manufacturing and after-sale service,etc.When material proces were going up over past years,Xindanever transferred the inflation burden to its clients,but chose to reduce its internal costs and maximally compress its own profit margin.For client's complaint about after-sale service,we always follow the principle of "solution before blame".This may bring unexpected operating cost,but no corporate reputaton should be measured financially. Innovation is another focus in Xinda's operation.Xinda has established the provincial research & development center and attaches importance to independent innovation. Xinda heavy 2.5MW and above the permanent magnet direct driven wind turbine projects included in the "national and international scientific and technological cooperation projects"
Screw company was the title of the 10 enterprises in china. Production of the first 2MW permanent magnet direct drive wind turbine. Xinda heavy industry cooperation with Germany R & D "2.5MW permanent magnet direct driven wind turbine project" was selected by the national Ministry of science and technology international cooperation project library. In 2010,listed as "China's Innovative Enterprise"
Xinda Printing Machine Company was honored as "China's Hi0tech Enterprise"
won the title of "Ningbo Benchmark Enterprise inCombination of Industrialization and Informationization"
Five categories and 22 series of products including elevator,escalator,screw air compressor,printing machine,gearless traction machine,etc.were elected as Ningbo's firse group of independent innovative products. listed in the "Third Group of Innovative Pilot Enterprises in China"
Hongda Elevator won the title of "Chinese National Torch PROGRAM Key Hi-tech Enterprise"
Hongda HD6000 machine-roomless elevator was listed in the industrial and technological achievements conversion project of Ministry of Finance Xinda Elevator won the title of"Chinese National Torch Program Key Hi-tech Enterprise"
The spread press embossing production line won the title of "Ningbo's Best New Industrial Product of Independent Innovation in 2008". "Xinda" trademark won the title of"Famous Trademark in China"
Hongda Elevator's "HOSTING" trademark won the title of"Famous Trademark in China"
Hongda Elevator's HD6000 machine-roomless elevator project was listed in "Chiinese National Torch Program"
Hongda Elevator's HD6000 machine-roomless elevator won the title of"Ningbo's Best New Industrial Product of Independent Innovation"
FWZ high-speed gravure press without shaft drive won the title of "Zhejiang's Firse Unit(set) of product in Equipment Manufacturing Industry"
Elevator Accessories Factory won the titles of "China's Customer Satistaction Product" and "China's Customer Satisfaction Service Enterprise" for 7 consecutive times(1991-2008). In 2007,the 4000㎡ research and development building of technical center was handed over. listed among "Zhejiang's Innovative Pilot Enterprises"
Hongda Elevator's high rise escalator was included in Ningbo's "Key Research and Development Subsidy Program". In 2006,won the title off "China's Top 100 Outstanding Private Scientific and Technical Enterprises"
Won the titles of "Outstanding Enterprise of Technological Transformation during the 'Tenth Five-year Plan' Patent Model Enterprise"
The permanent-magnet synchronous gearless traction machine project wa listed in the "Chinese National Torch Program"
AUGUST brand screw air compressor was honored as Ningbo's famous-brand product. Advanced Township Enterprise in Science and Technology"
Xinda Elevator Accessories Factory won the title of "China's Custorner Satisfaction Advanced Enterprise in Construction Machinery Industry"
The permanent-magnet synchronous gearless traction machine passed CE certification. In 2004,the Group was listed among "China's Top Ten Enterprises in Hoistiong and Transport Equipment Manufacturing Industry"
Xinda Company won the title of "Zhejiang's Famous Company"
Xinda Trademark won the title of"Zhejiang's Famous Trademark"
68m height elevator testing tower was put into use won and received the tablet of "Zhejiang's Enterprise Technical Center"
The variable frequency speed-adjusting elevator traction machine project was listed among the key projects in "Chinese National Torch Program". Won the title of"Chinese National Torch Program Key Hi-tech Enterprise"
Obtained the tablet of"Ningbo Enterprise Technical Center"
The variable frequency speed-adjustiong elevator traction machine was listed among"China's New and Key Products". 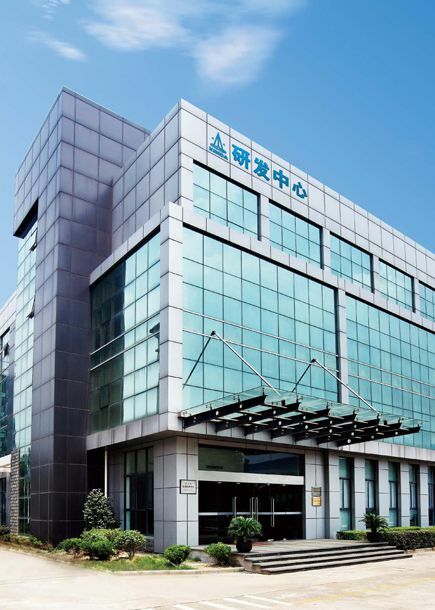 In 1999,listed into Zhejiang's"Top Industrial Enterprises" and "Industrial Enterprises with Best Economic Benefits"
Won the title of "Zhejiang's Advanced Technical Innovation Township Enterprise"
Won the titles of"Four-star Enterprise" and "Glorious Star" from Ningbo Municipal Government. In 1998,Ningbo Xinda Screw Compressor Co.,Ltd.was founded. Won the title of "Zhejiang's Exemplary Private Exemplary Private Enterprise Taxpayer"
Obtained the right of handling import and export. In 1997,elected as "Ningbo Hi-tech Enterprise". Successfully developed China's first ET160 escalator driving motor. In 1995,"Ningbo Xinda Mechanical and Electrical Co.,Ltd. "was established after restructuring. Invested RMB50 million in importing the internationally first-class raction machine production and testing equipment. In 1994,won the title of "Zhejiang's Key Township Enterprise". In 1993,Ningbo Hongda Elevator Co.,Ltd.was founded. In 1992,Ningbo Xinda Mechanical and Electrical Industry Company was founded. In 1991,the door lock was honored as "China's Customer Satisfaction Product"
won the title of "China's Customer Satisfaction Service Enterprise". In 1990,invented the first PB16A door lock in China and obtained the national patent. 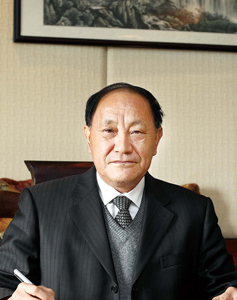 In 1989,joined China Elevator Association. In 1987,renamed to "Ningbo Xinda Elevator Accessories Factory". In 1984,renamed to "Yinxian Elevator Accessories Factory". In 1978,started the production of elevator accessories. In 1972,Xinda's predecessor,"Yinzhou Dongwu Xicu Bakelite Machine Repair Plant"was established. NINGBO XINDA SCREW COMPRRSSOR CO., LTD.
NINGBO XINDA PRINTING MACHINE CO., LTD.
NINGBO ROBUST ELECTRICAL CO., LTD.
XINDA HEAVY INDUSTRY CO., LTD.